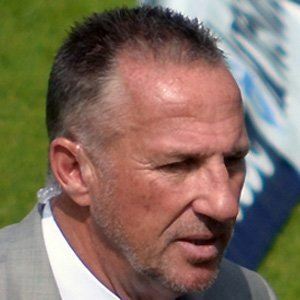 Former English cricketer was inducted into the ICC Cricket Hall of Fame in 2009. He made his domestic professional cricket debut with Somerset in 1974. He was named the 1981 BBC Sports Personality of the Year and was the recipient of the 2004 Sports Personality Lifetime Achievement Award. He married Kathryn Waller in the 1980s. The couple has three children together: Becky, Sarah and Liam. He was inducted into the Cricket Hall of Fame in 2009, the same year as Richie Benaud.